If you have a mobility scooter or know someone who has. Then you may know that the Four Cross Mobility Batteries only have a limited life. Therefore from time to time you may need to buy some new batteries for your mobility scooter. Of course, If you have batteries that take a long time to recharge. Then you may wish to buy some spare mobility scooter batteries. So that you can keep on the road for longer. 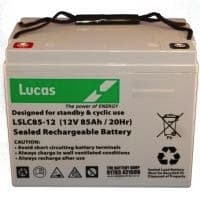 Whichever of these that may apply to you there are certain things that you need to consider when buying you batteries which may then determine which brand of battery that you are likely to buy. One way to measure the quality of mobility scooter batteries is to look at the different pricing structure as more often than not the more expensive batteries will also be the higher quality batteries. Of course, Mobilitybatterystore is geared up to supply as many mobility batteries as possible. Especially for the CV Leisure Scooters. Consequently, we endeavor to help the unfortunate people with special needs due to ill health or indeed just old age. Helping then comes in the form a offering a deduction in VAT if they are registered disabled.